Michele & Chiara are form Italy! They decided to have a ceremony at Kamigamo Shinto Shrine. 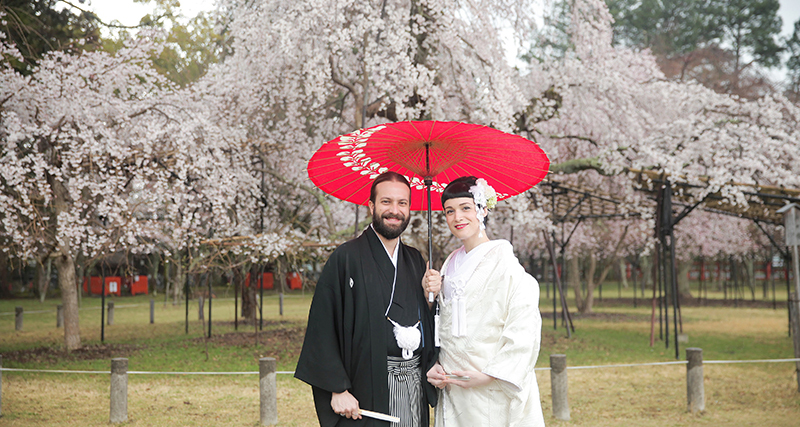 Chiara was the one who proposed having a ceremony in Japan, and Michele arranged everything with us. Michele’s brother was the only guest at their wedding. They had a mini party to cerebrate their marriage at the restaurant SAAMI. Although it was a rainy day, they still thoroughly enjoyed their wedding ceremony, photo shoot and mini party. May your future be blessed with even greater joy. Tanti auguri per il vostro matrimonio! !